This week the Dice Men head across the dutch, bro. 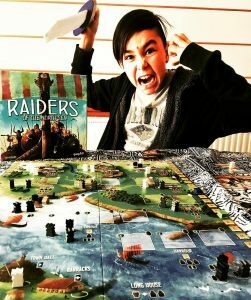 We talk to Shem Phillips of Garphill Games and play his Kennerspiel-nominated ‘Raiders of the North Sea’. And the Origins Awards have been announced, so you better scramble to buy all the games everyone else says are good. Who says board gamers don’t succumb to peer pressure?